Luther Road Fire Puts 13 People Homeless! Home » News » Local News » Luther Road Fire Puts 13 People Homeless! Thirteen people including 10 children were forced to evacuate five units at the Olive Courts Apartments on Luther Road yesterday when fire broke out. 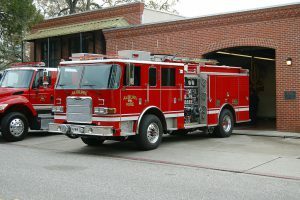 The fire broke out shortly after midnight and Calfire reported they believed the fire started in the attic but the cause is under investigation. The displaced three families are living in temporary quarters and under the care of the Red Cross.